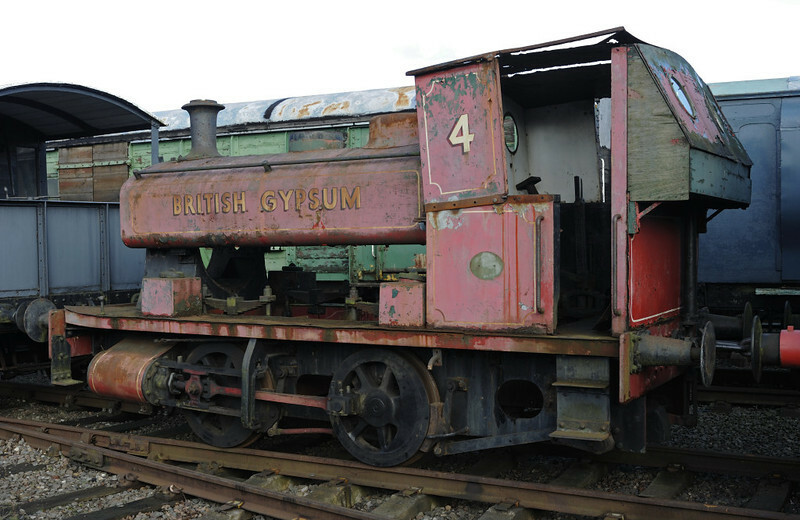 British Gypsum No 4, Brownhills West, Sat 15 December 2012. Barclay 0-4-0T 2343 / 1953. This loco was at Carnforth Steamtown for many years until 2005 when it was sold and moved to Chasewater. NB that the boiler has been removed.